Call in store or get in contact now for more information on any of our services. 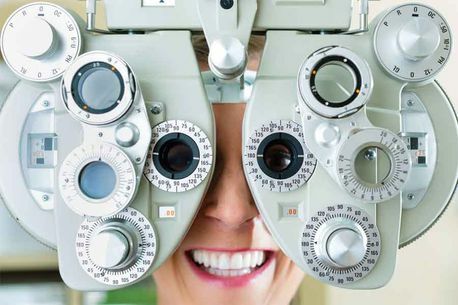 Boylan’s Opticians have a wide variety of services to meet all your eye care requirements. We provide eye examinations – crucial as they can reveal potential health problems such as diabetes, high blood pressure, and glaucoma – contact lens fitting, and paediatric testing. It is recommended that you get your eyes tested every two years. We offer a varied collection of frames that cater for all tastes and styles. Boylan’s Opticians are situated in Ballyfermot Road, Dublin 10. Here at Boylan’s Opticians our range includes designer eyewear, sunglasses and sports optics along with child and teen eyewear. Every pair of glasses is individually made to meet your vision requirements and lifestyle needs. Our staff will ensure that your new glasses fit properly and that you have clear, comfortable vision, making any necessary adjustments to ensure a perfect fit. We strictly adhere to the guidelines set out by the Association of Optometrists Ireland which means that all our glasses are professionally fitted under the supervision of a qualified optician. The Association is the representative body for the vast majority of practising optometrists in Ireland. For more information on our professional services or to arrange an appointment please get in contact with Boylan’s Opticians today. Here at Boylan’s Opticians we have a wide range of frames and glasses to suit all budgets. All ages are catered for including small children and the elderly. We stock many designer brands for kids and adults. Boylan’s Opticians also offers a full range of contact lenses for those who do not wish to have glasses. We have both daily and monthly lenses. We stock prescription lenses, and cosmetic coloured lenses to suit our customers' differing needs. Get in contact with us now to book an eye test with one of our specialists. We stock a variety of frames, with something to suit all tastes. Whether you prefer a thin frame, or something that make more of a statement, we are sure to have something to suit your needs. Contact lenses are the ideal solution for those who wish to enjoy perfect vision without the hassle of glasses. Contacts are perfect for those who play sport or simply wish to go without glasses.
" Absolutely love the new sunshades and just in time too! Amazing service, lovely warm people x "
" You attend for an eye test but the device is far more than that. You get a welcome, an assurance and a professional service that is as welcome as it is rare. " " Amazing friendly staff and great eye care. 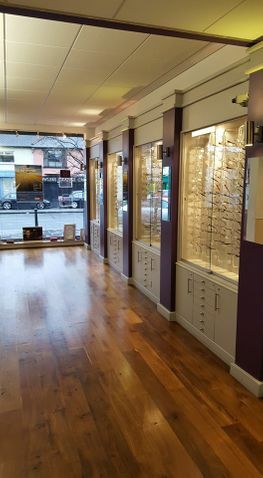 Such an inviting atmosphere "
" Great opticians! Friendly and professional staff. " " Professional service and friendly staff "